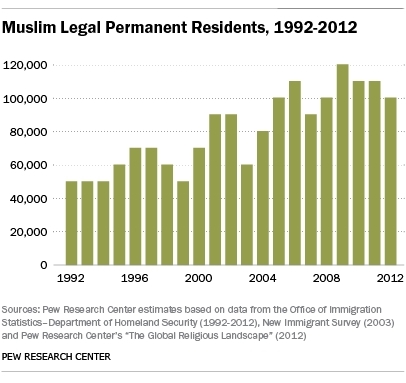 The importation of these Muslim immigrants is part of the overall plan to destroy America from within. As revealed in a recent White House conference call on immigration, the intention is to establish ‘seedling communities’ across the U.S., then grow them all to become a ‘nation within a nation’, eventually with the immigrant nation overtaking the host. Download a list of all cities accepting these refugees here: List of 190 Cities. 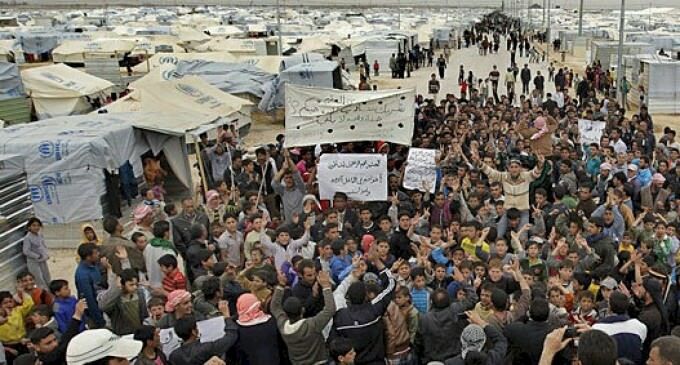 One major problem for the communities receiving these Muslim refugees that that little to no information is provided on the background of these immigrants. 100,00 Muslims brought in every year, and no info available on any of them. One community that is trying to get information right now is Spartanburg, South Carolina. When an agency like World Relief opens an office in a city, it means refugees will be arriving soon. There are no public hearings or announcements in local media, Corcoran said. Typically a story will appear in the local newspaper just before or after the first arrivals appear in town. Corcoran met some activists at Gaffney’s conference who wanted to find out more about the plans for resettling United Nations-certified refugees in their city. One of the activists is Christina Jeffrey, a political science professor and former U.S. House of Representatives historian who ran against Rep. Trey Gowdy, R-S.C., in last year’s Republican primary. Gowdy is now chairman of the House subcommittee on immigration and refugees. “He is chair of this committee, and so they want to set up a refugee office in his home district, and we still can’t get any information,” Corcoran said. Jeffrey has asked the federal government to prepare a comprehensive impact statement, detailing the impact the refugees will have on Spartanburg’s public services. Schools, health facilities, housing, the job market and public welfare programs will all be affected, but so far nobody is saying to what extent. The mayor of Athens, Georgia, who asked for the same type of report last year, encountered the same blackout of information. St. Cloud, Minnesota, residents have also inquired about how many more Somali refugees will be arriving in light of recent problems with Somali student protests at a local community college. Dozens of other Somalis have either left the country to fight for al-Shabab or ISIS while others have been charged and convicted with sending material support to overseas terrorist organizations. “They’re trying to get information because residents have heard the rumor that there are 1,500 more Somalis getting ready to be resettled there in St. Cloud,” Corcoran said. The resettlement agencies hold lots of meetings and place lots of phone calls with “stakeholders” in the targeted communities, but these collaborative efforts almost always occur outside of the public spotlight. “The term ‘stakeholders’ does not apply to you, the taxpayer footing the bill for all of this,” Corcoran said. According to a March 8 article in the Spartanburg Herald-Journal, “a partnership of faith leaders” called Come Closer Spartanburg issued an invitation more than a year ago to World Relief to open a refugee office in Spartanburg. The March 8 article was the first public revelation of this effort even though World Relief had been working behind the scenes with “stakeholders” for a year. An initial group of 65 refugees will arrive this year, starting in April or May, from Congo, Bhutan and Syria. Jeffrey discovered that the objective is to plant a “seed community” in Spartanburg that will eventually blossom and transform the city. The federal government is creating communities within communities often pitted against each other economically and culturally. It’s the same tactic that has been used for decades in Europe. “Looking at other U.S. cities with new refugee communities, it appears that contractors often keep sending refugees to the same place until there is a community within a community. Unassimilated communities have created problems in Europe, and we are beginning to have similar problems here in the United States (witness Milwaukee, Wis., and Lewiston, Maine),” Jeffrey writes. Corcoran said the word “assimilation” is no longer used by the resettlement agencies and their friends in the federal government. Rather, the new buzzword is “integration.” The goal of integration is to have a multitude of diverse cultures living side by side in “coexistence” but never assimilating. This sort of backroom dealing between the federal government, its hired resettlement contractors and local officials is not designed to provide information to the people who live and work in the targeted refugee cities, Corcoran said. The mayor of Athens, Nancy Denson, requested a plan. The city of Spartanburg is asking for the same consideration. Of the more than 500 Syrian refugees brought to the U.S. so far this past year, 90 percent of them have been Muslim, Corcoran said. Corcoran is pushing for reform of the refugee system in America. She believes communities targeted for resettlement should be entitled to an economic and social impact study. Outside of the financial hurdles and the drain on social services, the security issue is perhaps the most troublesome for cities on the receiving end of these seedling communities. WND reported in February that a senior FBI counter-terrorism official, Michael Steinbach, testified before the House homeland security committee and admitted that the U.S. lacks the capability to properly screen out terrorists and terrorist sympathizers from the ranks of the U.N. refugee program. amnesty, illegal immigrants, invasion, Legal Immigrants For America, LIFA, obama, Refugee Resettlement Watch. Bookmark. So why are so many Catholic organizations listed? Seems like they are cutting their own throats.